You can find us through the Gonzales Texas A&M Extension Service located at 1709 E Sara DeWitt, Gonzales, Texas 78629. The phone number is 830-672-8531. We conduct many of our programs from our PACE building located at 623 N. Fair Street, Gonzales, Texas. We operate the Eggleston Children’s Garden garden in the City Park between St. Lawrence and St Louis Streets. It’s across Moore Street from the Gonzales Memorial Museum and next to the Eggleston House. The Gonzales Master Gardeners have a greenhouse located adjacent to the building at 623 Fair Street where we learn plant propagation and grow plants for our annual Plant Sale. 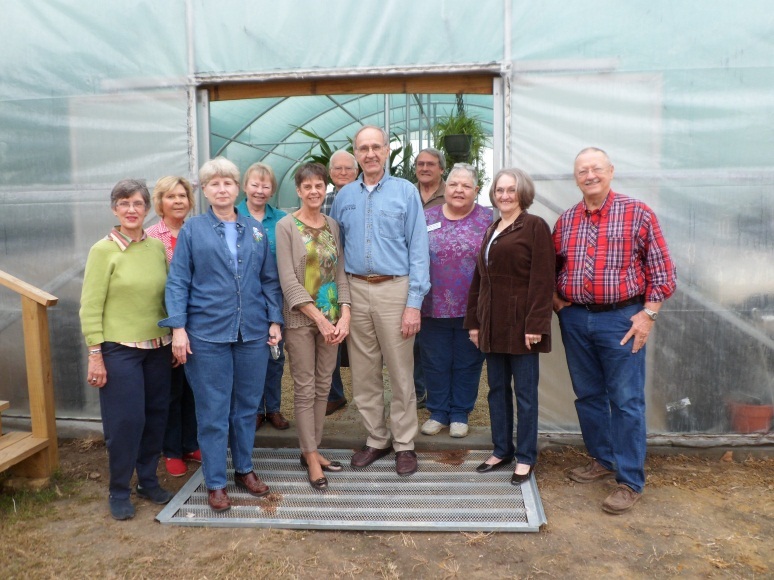 The greenhouse was a generous gift from Ruth and David Gumper, owners of Gonzales Building Center. A donation from the Guadalupe Blanco River Authority provided a foundation for the structure when it was moved to our location.